The Human Resources Office is responsible for providing a full range of personnel services for both American and locally employed staff members. The Human Resources Office is responsible for time and attendance functions and implements policies and procedures which conform to local labor regulations. The Human Resources Office is in charge of recruitment, training, and recognition of employees. The Public Affairs Section of the US Embassy in Dakar explains and advocates USG policies, acts as a focal point for media and cultural relations, and advises the US Mission to Dakar on the issues of public diplomacy. The Public Affairs Section works closely with other sections of the American Embassy and with Senegalese institutions to strengthen the bilateral relationship. The Office of Public Affairs sponsors seminars, exhibits, speakers, and other programs where Senegalese and Americans can exchange ideas and information on economic issues, shared environmental concerns, American government and history, education, security, and a wide variety of other topics. The director of the PAS, the Public Affairs Officer, is assisted by a Cultural Affairs Officer (CAO) and an Information Officer (IO) who also serves as the Mission’s spokesperson and Press Attaché. The Public Affairs Section maintains the Information Resource Center (IRC) to support information requests from our Senegalese audience. Using state of the art technology, including CD-ROM and on-line databases, the IRC provides updated information about the United States to Senegalese government officials, academics and journalists. The Information Resource Center is overseen by an Information Resource Officer, who also works with AICs at the U.S. Embassies in Burkina Faso, Cote d’Ivoire, Guinea, Mali, Niger, and Sierra Leone. The IRO evaluates each IRC’s information programs, providing advice and training local staff. IROs also evaluate the information environment to insure that the IRC services are meeting local needs. They advise on library and information science practices, present librarian training sessions, and work with local libraries to establish linkages between libraries in the United States and overseas. Dakar is also home base for the Regional English Language Officer (RELO). The RELO is responsible for working with Access, English Language Fellow, E-Teacher Scholarship, English Language Specialist and Fulbright English Teaching Assistant programs. English language learning materials, both electronic and traditional are also available from the RELO office. The American English website offers many free language learning options and the Shaping the Way We Teach English Webinar Courses are a great way for teachers to improve their skills. The RELO also works with ministries of education, universities and teacher training institutes in Benin, Burkina Faso, Cape Verde, Cote D’Ivoire, Gabon, Gambia, Ghana, Guinea-Bissau, Liberia, Mali, Mauritania, Niger, Senegal, Sierra Leone, Togo, Sao Tome and Principe. The Media Affairs Office is the Embassy’s primary point of contact with the media. 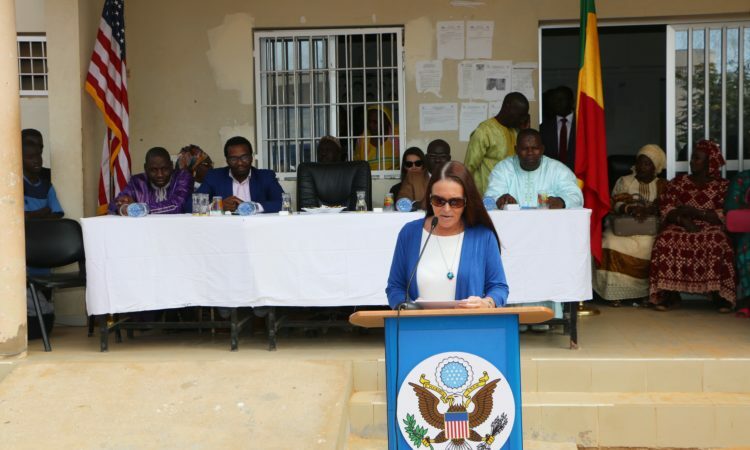 The Press Attaché uses media products, services, personal contact, and other tools to inform the Senegalese public about the U.S. Each day, the Public Affairs Office distributes news stories, speeches, and policy statements to Senegalese journalists and officials. In addition to regularly providing Senegalese radio and television with audio-visual materials, we also distribute a selection of pamphlets and other publications on U.S. interests, policy and activities. The Information Office also provides opportunities for Senegalese journalists to pose questions directly to American experts in real time through our digital video conferencing (DVC) facilities. Press inquiries to any section of the Embassy should be directed in the first instance to the Press Officer. For those interested in more detailed information about U.S. Foreign Policy, please visit our International Information Office website and/or the U.S. State Department website. These websites provide a wealth of information on US policies, quotes from US government officials, news on upcoming events as well as electronic dossiers on important themes. 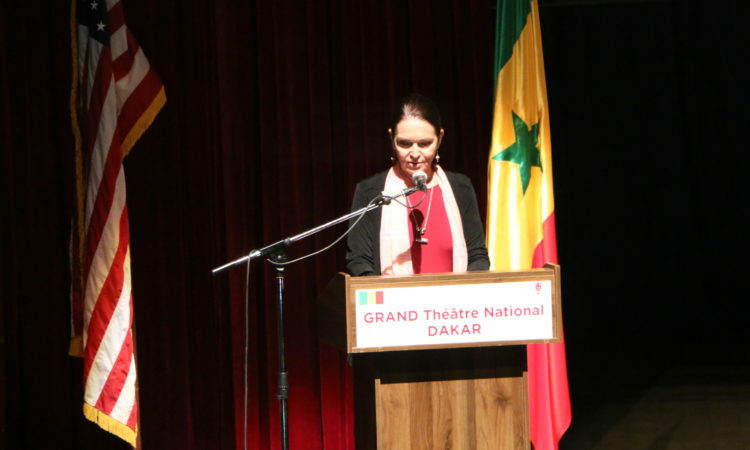 The Cultural Affairs Office is responsible for cultural and educational exchanges between the United States and Senegal. Programs: Cultural programs bring leading American academics and cultural figures together with their Senegalese peers for discussions and programs that cover a wide variety of topics intended to increase mutual understanding between the U.S. and Senegal. They include lectures and panel discussions, conferences, book programs, screenings of American films, and exhibits by American artists. Educational Exchanges: The Cultural Affairs Office selects Senegalese participants for academic, cultural, and professional development exchange programs sponsored by the U.S. Department. Each exchange program has different requirements and deadlines. Updated information on these exchange programs can be found on the U.S. Embassy Dakar’s Facebook page. The Cultural Affairs Office also supports American scholars and researchers at Senegalese institutions under the auspices of the U.S. Fulbright Scholar and Student Researcher Program and American high school students in Senegal under the YES Abroad program. EducationUSA: The Cultural Affairs Office manages EducationUSA Dakar, which provides free advising and outreach sessions for international students interested in studying at a U.S. university. Based at the U.S. Embassy in Dakar, Senegal, the Regional English Language Office (RELO) supports the professional development of English language teachers and the needs of English language learners. It also partners with English language teaching institutions from public and private sectors in order both to improve the quality of English language teaching and to promote mutual understanding between host countries and the United States of America. There are seventeen counties in the RELO’s region, Benin, Burkina Faso, Cape Verde, Cote d’Ivoire, Gabon, Ghana, Guinea, Guinea-Bissau, Liberia, Mali, Mauritania, Niger, Sao Tome and Principe, Senegal, Sierra Leone, The Gambia and Togo. The RELO is an important resource for English teachers and can provide materials for English language teaching, teacher professional development and training of trainers, facilitating workshops and online courses to enhance and improve English language teaching. The RELO also brings visiting academic experts and consultants from the United States who can provide assistance with the development of curricula, textbooks, tests, and English as a Foreign Language methodology and practices. The RELO oversees English Language Specialists, English Language Fellows, the English Access Microscholarship Program and other U.S. government English Language Programs. Visit the Bureau of Educational and Cultural Affairs site for more information about these programs. Teachers and students who wish to learn more about teaching and learning can find resources on the American English website. The Office of the Defense Attaché (DAO) represents the Department of Defense (DOD) overseas and is primarily responsible for the representational duties designed to foster positive relations between the U.S. military and the Senegalese defense/security establishment. At the Embassy in Dakar there are two service attaches accredited to four countries the sub-region (Guinea-Bissau, The Gambia, Cabo Verde, and Senegal). The DAO provides political-military advice to the Ambassadors and supports military to military contact/representation programs such as MEDFLAG and ACRI- The African Crisis Response Initiative. The Senior Defense Official/ Defense Attaché (SDO/DATT) is designated as the Senior U.S. Defense Representative (USDR) for the region and as such is responsible for representing the Secretary of Defense, Chairman, Joint Chiefs of Staff, Secretaries of the military departments, Chiefs of the military services, and unified commanders regarding coordination of administrative and security matters for all in-country DOD noncombatant command elements. The Office of Defense Cooperation (ODC) is a four-person team headed by an American military officer. ODC manages all traditional and non-traditional security assistance activities in Senegal as well as coordinating host nation support, conducting joint planning, and acting as liaison for other defense matters of mutual concern. Increase the awareness of Senegalese participating in such activities of basic issues involving internationally recognized human rights. Since 1965, more than 1000 Senegalese military officers have trained in the U.S. Ours is one of the most robust IMET programs in Sub-Saharan Africa. Military Training Exercises have become an important part of the security assistance program. Many different types of exercises each year take place under the auspices of the African Crisis Response Initiative (ACRI), West African Training Cruise (WATC) and the Joint Combined Exchange Training (JCET) programs. ACRI is a U.S. Department of State program, managed by the ODC, to train and equip Senegalese military forces for peacekeeping duties on the African continent. Senegal is the first African nation to have completed the ACRI program and is now undergoing sustainment training. WATC is a multinational naval exercise designed to focus on the enhancement of naval operations, training and maintenance for qualifying West African nations. JCETs, are bilateral exercises that involve joint training between small Special Operations Forces teams and units of the Senegalese Armed Forces. The purpose of the exercises are to train with foreign militaries, provide quality training focused on individual soldier skills and small unit tactics. Military Equipment Sales and Grants: The ODC manages the sale and transfer of military equipment to the Senegalese Armed Forces. This is done through foreign military sales, foreign military grants and excess defense article grants. Additionally, the ODC acts as a link between members of the Defense industry and the Senegalese Armed Forces in order to facilitate direct commercial sales. The ODC also manages the Humanitarian Assistance Program (HAP) for the United States European Command in Senegal. This program is an important means of targeting DOD resources for construction projects such as medical clinics, wells, bridges, schools and canals. Additionally, the program also provides humanitarian assistance supplies to organizations in Senegal. These supplies include, but are not limited to school, medical, disaster assistance and disaster prevention supplies. Its aim is to supplement or complement the efforts of Senegalese civil authorities or agencies to relieve or reduce the results of natural or man-made disasters. The Economic and Commercial Section in Dakar is your starting point for doing business in Senegal. We encourage you to take a serious look at doing business in this most exciting and emerging market. Our services include the International Company Profile, International Partner Search, Gold Key Service, International Buyers Program and so on. They are designed to facilitate productive meetings with prospective business partners. The Economic and Commercial Section in Senegal is part of a global network of trade specialists dedicated to supporting U.S. commercial interests around the world. We offer comprehensive, export promotion assistance through a variety of programs and services. You may also want to visit other U.S. Commercial Service offices in the Sub-Saharan Africa based in Ghana, Kenya, Nigeria and South Africa. The Foreign Agricultural Service (FAS) is based in Washington, D.C. and serves as the lead U.S. Department of Agriculture (USDA) agency overseas, at the behest of the Secretary of Agriculture. Our mission is to link U.S. agriculture to the world to enhance export opportunities and global food security. FAS Dakar officially covers Burkina Faso, Chad, Cote d’Ivoire, Mali, Niger, Senegal, and The Gambia. It may also be asked to cover Guinea-Bissau, Guinea-Conakry, and Mauritania if needed. Our programs focus on technical capacity building, food assistance and supporting economic growth and trade. Our capacity building programs and activities are designed to facilitate trade and create an environment conducive to market-driven agricultural growth in order to build reliable trading partners. We work to strengthen local and regional institutions, build trade capacity and transfer technology. We consider food security strategies, such as Feed the Future, and country investment plans as well as regional West African objectives when managing and implementing technical building activities. Upcoming projects in Senegal include the Biotechnology seminar taking place this summer and the BEP Scholarship Project between the Government of Mali and Interstate School of Veterinary Science and Medicine (EISMV) in Dakar. FAS Dakar works with other USDA departments, NGOS, and international organizations to implement a number of food aid agreements to improve food security and advance agricultural development. The Local and Regional Procurement Pilot Project (LRP) was authorized as a pilot program under the 2008 Farm Bill. LRP uses local and regional food procurement or vouchers as a tool to address urgent food needs during and after food crises and disasters around the world. The pilot project’s agreement value from FY 2009-2011 is $15.4 million for Burkina Faso, Chad, Mali, and Niger. FAS also works to improve foreign market access for U.S. products, build new markets and improve the competitive position of U.S. agriculture in the global marketplace. We monitor regional trade policy developments that affect U.S. agricultural trade. We work closely with our host countries to improve market access conditions for U.S. agricultural exports. We also work with local and regional West African institutions to ensure that they adopt agricultural and trade policies based on international standards and sound science. We aim to expand exports and/or demand of U.S. agricultural and food products in the West Africa region in collaboration with U.S. agricultural trade associations, including the U.S. Wheat Associates, U.S. Grains Council, American Soybean Association, the World Initiative for Soy in Human Health, the U.S. Dry Bean Council, the American Peanut Council, the U.S. Rice Federation and the U.S. Poultry & Egg Export Council. FAS provides exporters, policymakers, and domestic stakeholders with first-hand agricultural analysis by reporting on the agricultural situation, by commodity, specific country, and region, including policy and market developments that affect food security and agricultural trade. They can be accessed from the USDA’s Global Agriculture Information Network (GAIN). This online database includes a list of suppliers of U.S. agricultural products. This is the first stop to find the right match to meet your needs! The Export Directory of U.S. Food Distribution Companies provides a list of U.S. suppliers of mixed containers of grocery products and food service products to potential foreign buyers. Join the FAS “Foreign Buyers List”! By registering as an importer, you can receive many of our services and be included in special promotion events. Looking for a trade event in the region that features U.S. products? The calendar contains a variety of international promotional activities, from major trade shows to smaller events such as store, hotel and catalog promotions organized by FAS offices overseas. If you’re attending a trade show in the United States, annual calendars are available which list food, farm, seafood and forest product trade shows in the U.S.
FAS staffs about 100 offices across the world and covers nearly 160 countries. It has a total of 1,400 employees with roughly a third overseas. The Federal Aviation Administration (FAA) is the U.S. Department of Transportation (DOT) agency whose mission is to oversee safety and efficiency in the U.S. aerospace system. The FAA’s Africa office is based in Dakar, Senegal, where the FAA Representative covers the 48 countries of Sub-Saharan Africa. Through DOT’s Safe Skies for Africa (SSFA) program—a 1998 presidential initiative—the United States emphasizes its desire to work hand-in-hand with African nations. This program places a particular emphasis on providing technical assistance and training to meet international aviation safety standards. The program is unique in that Africa is the only region that benefits from direct DOT funding to enhance its aviation safety capacity. On a day-to-day basis, the FAA Dakar Office works as a liaison between U.S. and African aviation resources. We provide access to a knowledge base of 44,000 FAA employees through our team of SSFA managers, FAA Desk Officers and the U.S. Embassies on the continent. They help us connect to experts in airports, air traffic, flight safety and other areas. Dakar, the Senegalese capital, is a strategic location for the FAA because the city is home to other regional offices such as the International Civil Aviation Organization (ICAO), AFCAC (African Civil Aviation Commission), ASECNA (Agence pour la Securité de la Navigation Aérienne en Afrique et a Madagascar) and IATA (International Air Transportation Association). The U.S. Agency for International Development (USAID) is the lead agency for the U.S. Government providing economic development and humanitarian assistance to people around the world. As an active partner of the Government and people of Senegal, USAID listens to local concerns and priorities, and then responds with joint activities to help reduce poverty, promote democracy and economic growth, recover from disasters, and prevent conflicts. In Senegal, USAID has invested over $1 billion in a wide range of projects since 1961 — an average of nearly $30 million each year — to tackle constraints to national development. The United States Agency for International Development (USAID), with the Government of Senegal and its other partners, helps to create jobs and fight poverty in the country through increasing economic growth through trade and natural resource management. The 2006-2011, approximately $30 million economic growth program will demonstrate how more effective and accountable governance and sustainable exploitation of agricultural and natural resources can contribute significantly to increasing economic growth and reducing poverty. In particular, USAID supports increased trade in agriculture and natural products, public-private partnerships, biodiversity conservation, business development services to budding enterprises and national policies that encourage economic growth, trade, and the environment. USAID and its partners encourage local governments and community-based organizations (CBOs) to use transparent financial management and investment planning for future development. Activities include technical assistance to local government and CBO leaders, information campaigns to raise awareness of citizen’s rights and responsibilities regarding local government, and training to increase and enhance citizens’ — especially women’s — participation in local affairs. As part of its six-year, $30 million assistance program for democracy and governance, USAID also provides policy analysis to strengthen decentralization policies in critical areas such as local government finance and management of civil registries. As a result, local communities are able to develop realistic budgets that help them plan investments and expenditure, collect increased tax revenues, run better solid waste and water services, and manage local agricultural and natural resources in ways that protect their environment and foster economic development. Since 1979, USAID/Senegal’s health program has supported the Ministry of Health and local communities in efforts to reduce maternal and child deaths, prevent infectious disease and other illness, and help people live healthier lives. In addition to fighting major diseases like malaria, tuberculosis, and HIV/AIDS, USAID strengthens national and local health systems that provide preventive and curative services for the population, supports family planning programs to allow couples to have children when they want them, and helps communities plan and finance their own health services. USAID’s health program, which focuses on the regions of Kaolack, Kolda, Louga, Thiès, and Ziguinchor, aims to put quality health services within easy reach of the majority of Senegal’s population. USAID’s program in education addresses constraints to increasing middle school enrollment and improving the quality of middle schools. USAID works to build schools, especially in rural areas, and improve the quality of the teaching and learning environment by launching nationwide training programs for teachers and principals in public and private middle schools. It also encourages community involvement by setting up school management committees and by helping local governments assume their responsibilities for supporting schools. By 2008, more than 25,000 children, half of them girls, who previously were unable to continue their education will be enrolled in middle schools close to home. After more than two decades of conflict, a peace process is gaining momentum in Senegal’s southern region, the Casamance. During the fighting between government and separatist forces of the Mouvement des Forces Démocratiques de la Casamance (MFDC), thousands of civilians have been displaced, villages have been destroyed, and fields rendered useless because of landmines. Since 2000, the United States Agency for International Development (USAID) has contributed over $15 million in activities to help stabilize the Casamance region. USAID works with the Senegalese government, the local population, village-based associations, and non-government organizations (NGOs) in activities designed to give people hope and reasons to opt for peace. USAID’s private sector, agriculture, natural resources management, local governance, health and education programs also actively intervene in areas of the Casamance. Since January 2003, the United States Agency for International Development (USAID) has sought to improve lives and protect resources in southeastern Senegal in a new, unique program promoting conservation, poverty reduction and good governance (nature, wealth, and power). USAID assists local people in increasing their profits from natural products found in their local forests and farmland. To ensure that these natural products are not overly exploited, local government officials receive training to help them assume their responsibility for natural resource management. Senegal is an ideal country for Peace Corps service: democratic and politically stable with a long history of religious and ethnic tolerance, as well as freedom of movement and action. During their two-year assignments, Peace Corps Volunteers work with communities throughout Senegal on projects in agriculture, the environment, economic development, and health. Volunteers quickly integrate into their communities, thanks to the Peace Corps’ world-class language and culture training program. And through Peace Corps Senegal’s technical training program, Volunteers are equipped with the skills necessary to support the development efforts of their host communities. After the two-month, in-country training program, Volunteers are officially sworn in and sent to cities and villages throughout Senegal where they have the opportunity to design their own innovative projects. Beyond development, Senegal Volunteers are also actively working on Peace Corps’ two cross-cultural understanding goals: helping the Senegalese better understand American society and culture and taking their knowledge of Senegalese society and culture back to the United States. And in the process, Volunteers wind up effecting change that lasts a lifetime. The Peace Corps actively recruits Americans with a wide variety of experiences, ages, and perspectives. Volunteers must be 18 years or older and must be a U.S. citizen. The Peace Corps provides each Volunteer with housing and a living stipend that enables them to live in a manner similar to people in their community of service. At the end of their two years of service, volunteers receive a readjustment allowance to help with the transition to life back home. The program in Senegal consists of more than 270 Volunteers based in all administrative regions of the country. The Peace Corps Senegal headquarters are located in Ngor, in the capital of Dakar. The administrative team consists of mostly Senegalese nationals and includes a country director, director of programming and training, director of management and operations, associate directors, medical officers, regional coordinators, cross-cultural and language specialists, program and training specialists, safety and security staff, and several general services staff, among other positions. For more information, please visit Peace Corp Senegal’s website and Facebook page. The $540 million Millennium Challenge Corporation (MCC) Compact, signed by the Governments of the United States and Senegal, aimed to reduce poverty and increase economic growth by unlocking the country’s agricultural productivity and expanding access to markets and services. The Government of Senegal implemented the five-year MCC Compact via the Millennium Challenge Account-Senegal, and was completed on September 23, 2015. The two primary Compact projects, Roads Rehabilitation and Irrigation and Water Resource Management, made strategic investments in the road network and essential irrigation schemes focused in the Senegal River Valley and the Casamance region. The Compact priorities were identified to align to the country’s comprehensive long-term objectives of enhancing national growth and food security. The Roads Rehabilitation project invested in two of Senegal’s critical transport corridors that connect major population centers and agricultural production areas: National Road #2 (RN2) and National Road #6 (RN6). The RN2 is the northernmost road of Senegal and a strategic connector corridor from Dakar Harbor to Mauritania and Mali and to the other larger cities in Senegal. The RN2 road investment funded the rehabilitation and widening of 121 kilometers of road from Richard Toll to Ndioum that borders the irrigation areas along the Senegal River Valley, and constructed the Ndioum Bridge, which traverses an estuary of the Senegal River and links the fertile land on the Island of Morphile with the RN2 and the national road network. The southern road improvements in the Casamance region focused on upgrading and widening 252 kilometers of the RN6 from Ziguinchor to Kounkané and rehabilitating the Kolda Bridge. The RN6 is the single primary road available for transportation of local agricultural products from Casamance to the rest of Senegal without having to travel via The Gambia and serves as an essential connector with Guinea Bissau, Guinea (Conakry), and Mali. At compact completion, 64 kilometers of the RN6 and the Kolda Bridge had been rehabilitated and the Government of Senegal has committed to completing the remaining segments, expected in 2016. The Roads Rehabilitation Project adhered to standards of the Economic Community of West African States (ECOWAS). MCC standards also require specific environmental and social measures during the implementation of road works. Specifically, the roads project included: developing plans for community reforestation, supporting the recovery of wood from past community deforestation activities, implementing an HIV/AIDS awareness program, resettling or compensating families affected by the rehabilitation works, implementing a community-level environmental awareness program, constructing or relocating weekly markets, and constructing safety walls at schools located within 50 meters of the road. The MCC investments in Senegal’s road network are anticipated to provide reliable, cost-effective, safe, and time-saving means of transporting local agricultural products to domestic and international markets year-round. In addition to increasing access to markets, the rehabilitated roads expect to increase access to vital community services, such as schools and hospitals. The Irrigation and Water Resources Management aimed to improve agricultural productivity in the Senegal River Valley, Senegal’s rice production heartland, by improving the performance of the irrigation systems and securing land tenure rights in the Delta Zone and the Department of Podor (Ngalenka). The Delta investments upgraded and rehabilitated the main canal and drainage systems across 35,480 hectares in order to increase the volume of irrigable water, expand cropping intensity, and secure use of land currently at risk of abandonment due to soil salinization and insufficient flows. The Ngalenka activity aimed to increase agricultural production through the construction of a 450-hectare irrigated perimeter. MCC’s rehabilitation or construction of over 245 kilometers of canals is expected to allow farmers to expand their rice, tomato, onion and other market vegetable cultivation in the Senegal River Valley. The accompanying land tenure activity focused on strengthening local governments’ capacity to formalize and manage land rights in the project zones, and ensuring that land allocation in these zones harmonized existing land rights and increased access to land for groups who have traditionally had limited access to land, such as women and youth. Over 10,000 plots of land, covering 15,000 hectares were incorporated into the municipal land management system. MCC is strategically reinforcing the economic potential of Senegal through the MCC Compact investments. These investments are expected to increase household incomes for over 1.55 million Senegalese across approximately 138,000 households improving the quality of life for their families and future generations.